Caldecott is Located at the Central Region of Singapore, District 11. 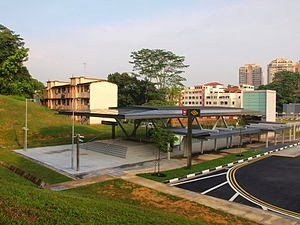 The Nearest Mrt Station is Caldecott MRT, it is also 10-minute walks from Braddell. This central business district area includes residential housing units with various types, varying from HDB flats to more exclusive forms of private housing. Nearby Shopping Centers includes Court Toa Payoh and Balestier Hill Shopping Centre. With easy access to the leading expressway Pan Island Expressway (PIE). Nearby schools in Caldecott MRT include Marymount Convent School, Marymount Convent School, Guangyang Primary School, Guangyang Secondary School, Beatty Secondary School and a lot more.